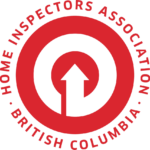 FYI Home Inspections in Kelowna provide full service building inspection services. I will pay close attention to how and where runoff water drains, and if any vegetation or trees are adversely affecting the integrity of the home. Typically most overdue maintenance can be found on the exterior of the home. Not keeping up with painting, caulking and other regular upkeep can lead to water damage, weathering, and other deterioration. Both the exterior and interior of your garage will be examined from roof to foundation, including fire walls and garage openers. Walls, ceilings and floors for damage, movement, or evidence of leaks. 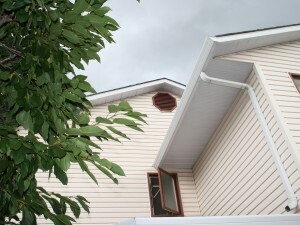 Crawlspace, basement, attic, and eaves. A thermal scan is included in all home inspections I do. A standard home inspection does have some limitations, as set forth in the Scope of Inspection and Code of Ethics as well as your Home Inspection Contract. Please read these carefully, and adjust your expectations accordingly. Many of these limitations are obvious. For example, inspectors can not look underground, nor into inaccessible ceilings or crawl spaces, nor can they predict when a system or component will fail. Snow cover may make it impossible to see the roofing, and stored items, furniture or carpeting may block access to electrical outlets, portions of wall or flooring. A home inspection differs from a code inspection, and does not imply a warranty of any kind. Furthermore, your home inspector will not point out cosmetic flaws.